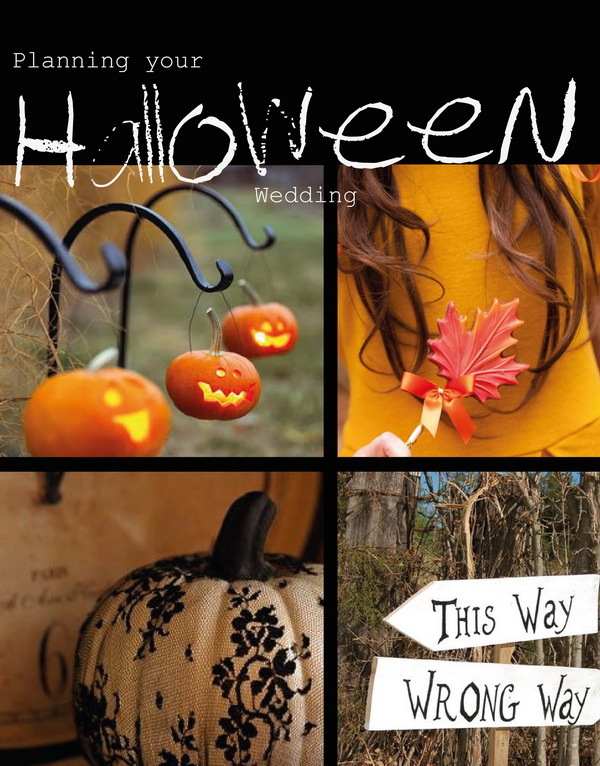 It amazes me how quickly each year passes and although I’m amazed Halloween is fast approaching once again, I’m also starting to get excited about what to wear for this years party or even more exciting, this years wedding. There’s always one friend who chooses to marry in autumn and decide upon a harvest feast with a slightly spooky touch to the theme. Trying to guess what will be seen at this year’s venue, we went in search of some new and exciting ideas that have been getting lots of attention! 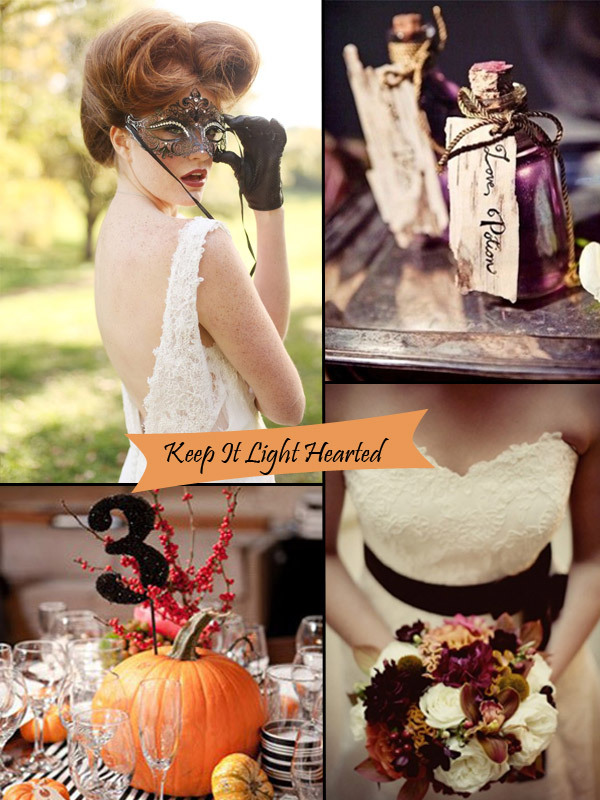 So here’s to all your brides to be planning a Halloween spectacular. Brides and Grooms have really been trying to tame this theme by keeping the idea light hearted and not so in your face. They are choosing to add subtle hints here and there with fun signs dotted around and quirky pumpkin cut outs. 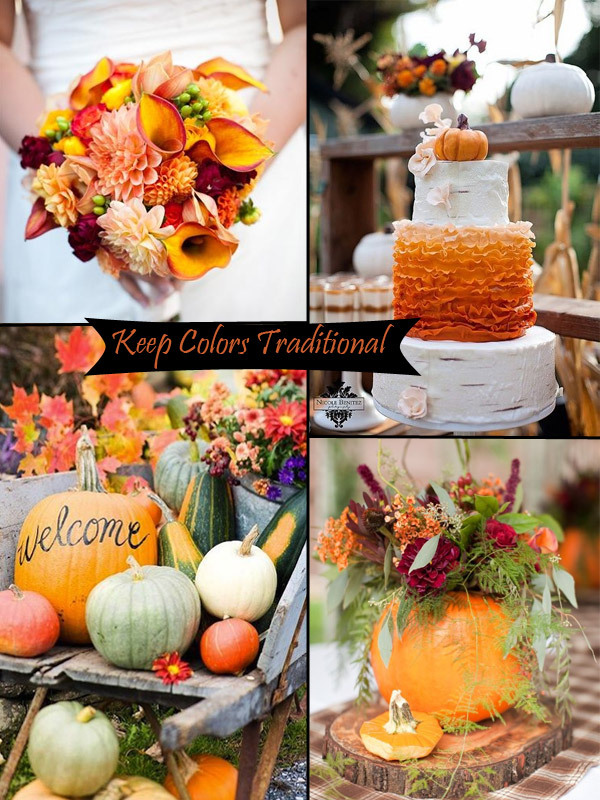 This is such a good season to get crafty in, you have hard wearing fruit and vegetables, like apples and pumpkins that can easily be carved, painted and decorated in whatever way you want. Some brides have chosen to have floating candles with the use of apples and glittery pumpkins that look nothing short of amazing. 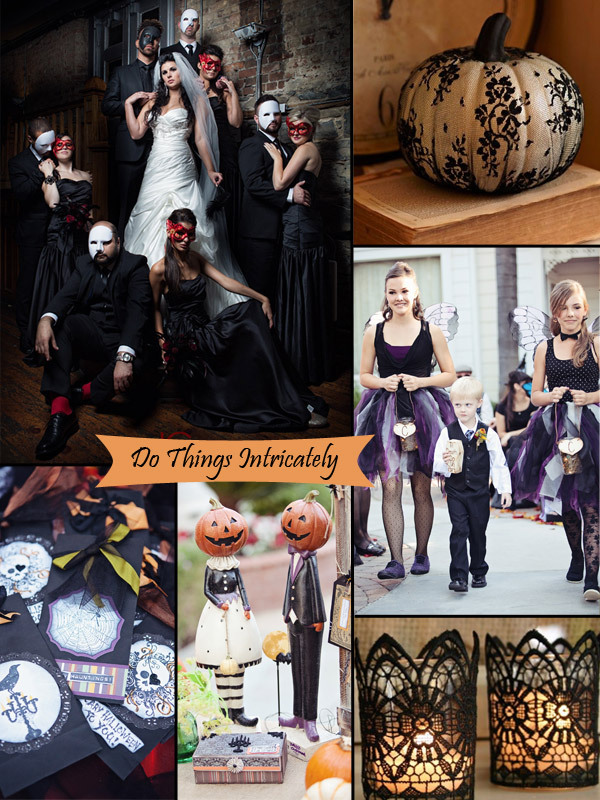 This year it’s all about intricate details, so if you do have the time and the resources, why not go for a real intricate lace pattern on your pumpkin and dress you and your maids in beautiful lace gloves, headwear and veils. 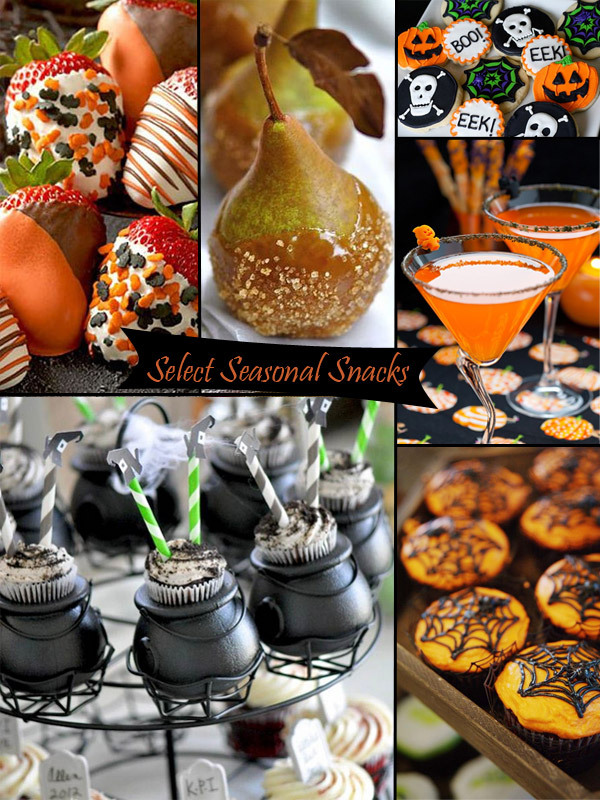 Make the use of seasonal treats, not just for decorations but also for many tasty snacks and introductory drinks if you’re feeling imaginative. There are some real fab ideas out there, but here are some of our favorites. Do stick to shades of burnt oranges, oaky browns and charcoal! It’s important to use these colors, but be careful not to overload everything with these strong vibrant shades. Try to water the look down with lighter tones of these select colors and don’t be afraid to add a wee bit of white in there too. 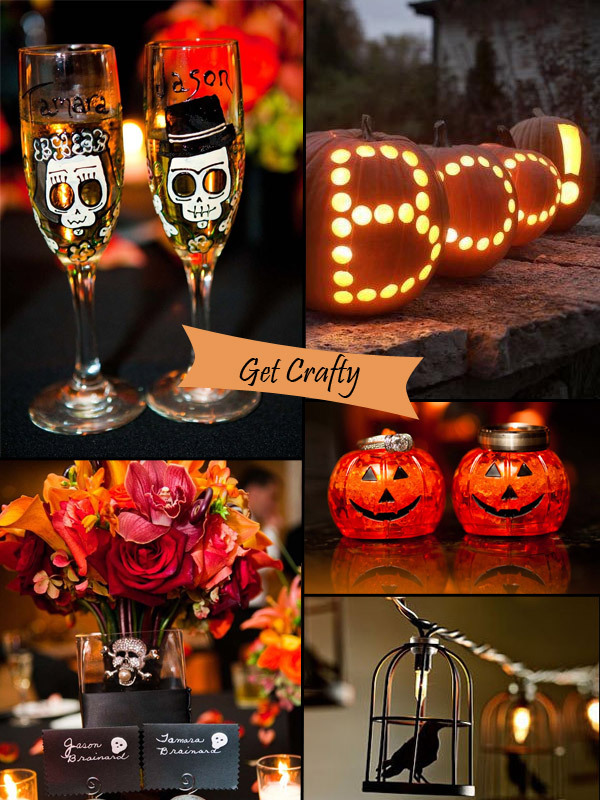 For those simply looking for a little inspiration there are some other ideas that got us enthusiastic for this ghostly season. Just contact us at [email protected] if you have other ideas!